Thanks to hyde333 for this awesome scan (found on AP)! 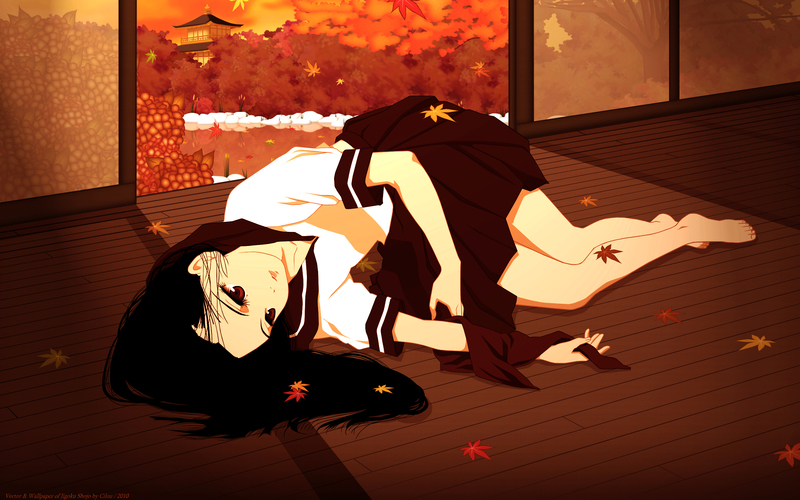 I vectored this hell girl, and I wanted to keep the original theme and colour (Autumn) because that's the season! This wall brings about a lot of emotions I can relate to. It's a very nice addition to your gallery, nice work. enma.. it's nice to see her in clothes other than kimonos (although her kimonos are very beautiful!) great wallie btw, i love the warm colors..
Ai looks cut in both her uniform AND kimono! ?